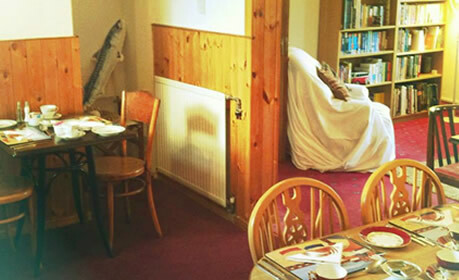 Silver Darlings offers bed and breakfast accommodation for visitors to Ullapool in the North West Highlands of Scotland. A traditional fishingport, Ullapool is a beautiful village and offers a great base to explore or stop and relax and appreciate. 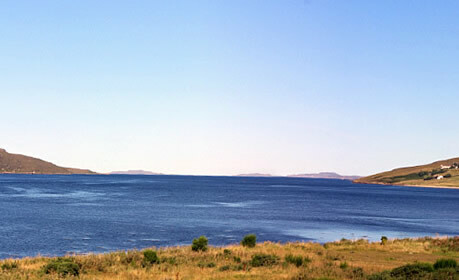 We overlook the shore of Loch Broom and out to the Summer Isles and sea. The views at the start and end of every day are breath taking. Silver Darlings Bed and Breakfast is situated in the beautiful fishing village of Ullapool in the North West Highlands of Scotland. Silver Darlings is in a fantastic seafront location very close to the centre of Ullapool, with stunning views across Loch Broom and the Summer Isles. We offer our guests good value accommodation in a welcoming and relaxed environment. Ullapool has many facilities and attractions. A host of eateries, pubs and shops cater for all budgets and tastes. We have 3 bedrooms and are happy to accommodate both large and small parties, for overnight stays or longer visits. We are located on a quiet street with fabulous views within easy walking distance from all the facilities, bars and restaurants in Ullapool. We look forward to welcoming you to our home and village. We hope you will enjoy your stay so much you will return again and again! 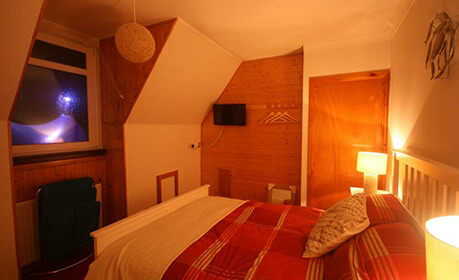 Our rooms are all warm and comfortable with views over Loch Broom and out to The Summer Isles. We overlook Loopallu festival and are minutes walk from some great bars and restaurants as well as all the shops and facilities in Ullapool. We watch the Stornoway ferry passing us everday and are just a few minutes walk from the harbour and ferry terminal. We offer an extensive range of breakfast choices so that you leave us ready to take on the day, be it exploring, travelling or working. We are happy to meet any dietary requirements - please contact us in advance. We source locally produced food and items where possible. Overlooking Loch Broom and out to the Summer Isles, we have one of the best views in Ullapool that provides inspiring mornings and amazing sunset evenings. Our road leads directly to the path along Ullapool River where trout and salmon migrate and otter visit on the evenings to eat and play. Porpoise frequently swim along the shore in front of us and the fishing fleet from Ullapool harbour pass us on their way to and from sea.